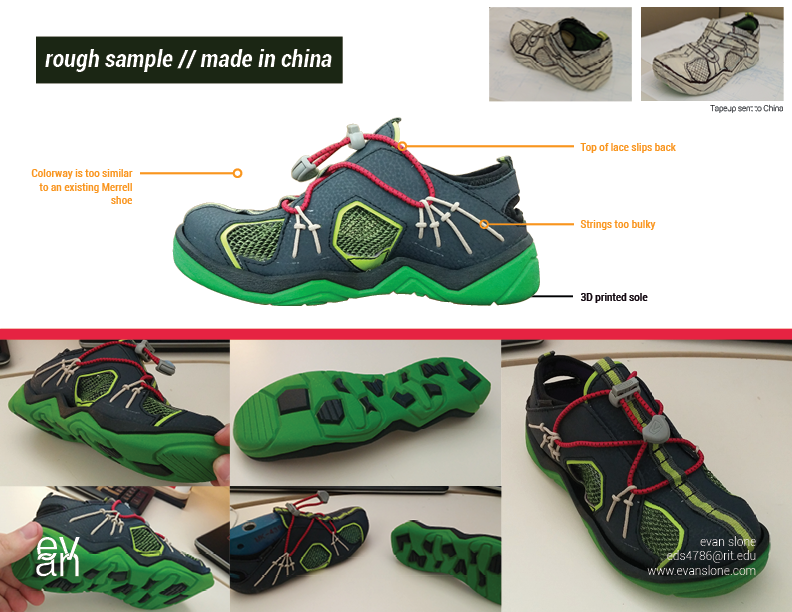 Designed as a part of my internship with Stride Rite, I worked in conjunction with the Stride Rite product development team, the design team, and their correspondent factory team in China to develop this concept. 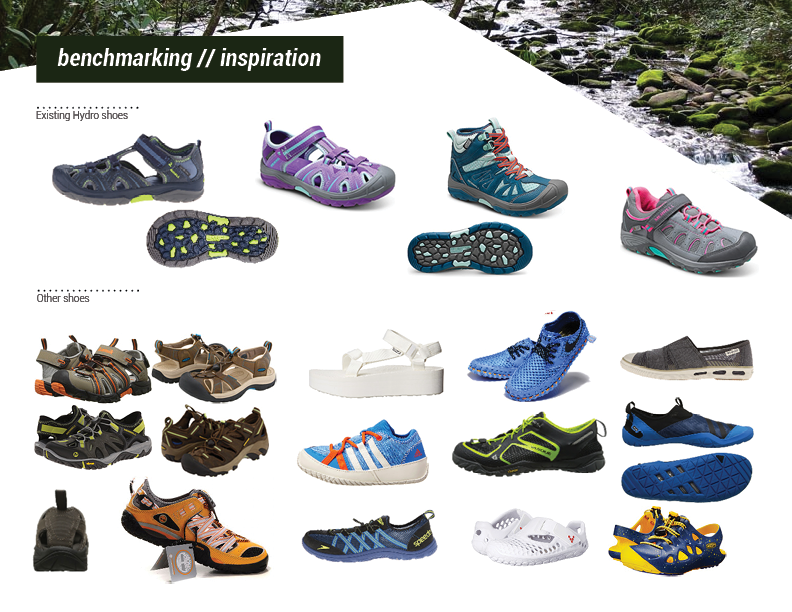 During my internship, I also partook in a comprehensive marketing project for all of Wolverine Worldwide's 4 Boston based brands (Stride Rite, Saucony, Sperry's, and Keds). 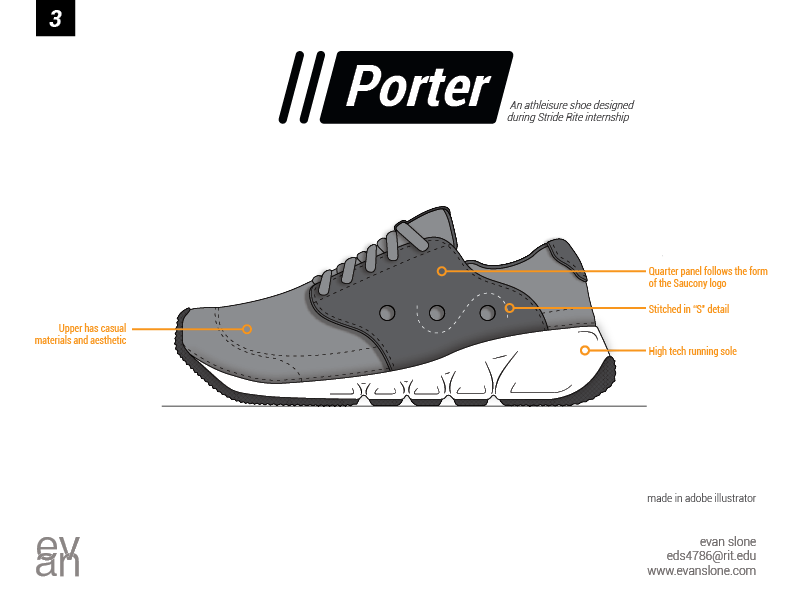 As a part of this project, I conceptualized the "Porter" to spearhead a plan to make an athleisure based footwear line.